Meta Description: Now that the new iPhone 2018 had released, a lot of Android users are considering switching over to the new iPhone. 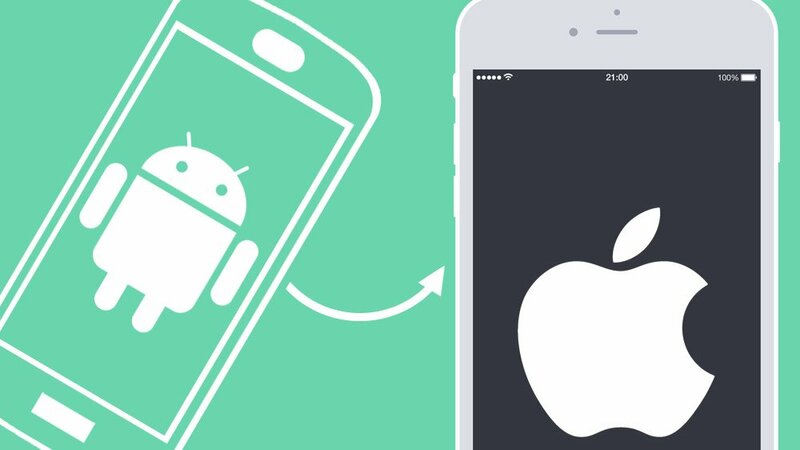 In this article, we’ll show you the easiest way to transfer data from Android to iPhone. Now that the release of the new iPhone 2018 had unveiled, previously speculation was flying high about what the new iPhone would be called and its features. Now all that’s settled down, it came in three models, iPhone XS, iPhone XS Max, and iPhone XR. The excitement has even led to many devout Android users saying that they’ll transfer to the new iPhone. However, switching from an Android to iPhone is difficult because they don’t interact well and transferring data is difficult. Many people are concerned about their contacts, videos, etc, which might get lost if they change from one to the other. In this article, we’ll show you how to transfer what data you want using the easiest method possible. The easiest method to transfer data from Android to iPhone is to use a third-party tool called dr.fone - Switch. This tool has been developed by one of the world’s leading technology enterprises — Wondershare — and it allows you to transfer Android to iPhone with the click of a single button. All you have to do is connect your old and your new phone to the computer, click a single button, and voila! ●	Transfer contacts, videos, music, etc, from Android to iPhone. ●	Transfers data from any Android phones — HTC, Samsung, Nokia, Motorola, etc — to all iPhone, including the new iPhones 2018. ●	Works with all major providers like AT&T, Verizon, Sprint, and T-Mobile. ●	Works with all Windows and Mac OS versions. Transferring Android to iPhone is a simple 3-step process. Just read on to find out how to transfer Android to iPhone using dr.fone - Switch. Download dr.fone and install it into your computer. Then connect your old Android phone and your new iPhone to the computer simultaneously. dr.fone will automatically detect the devices. As the files transfer from Android to iPhone, you’ll be able to track their progress. After the files are transferred, you’ll get a ‘Success’ message. 1. You don’t need an internet connection. You just need a computer. 2. It’s a 1-click process and extremely easy to carry through. 3. All the files get transferred from Android to iPhone. 4. If you don’t have access to your new iPhone yet, you can use the dr.fone - Backup&Restore option to save your data into your computer and later transfer them to iPhone. If you want a free method of transferring Android to iPhone, you can also use iCloud and iTunes. However, these methods will only allow you to transfer certain types of files and the process is a lot more complicated. 1. Connect your iPhone to your computer and launch iTunes. 2. From the Settings, go to your iPhone’s information page. 4. Click on the ‘Sync Contacts with’ option, and choose ‘Google Contacts’. Before you do this, you have to make sure that you’ve synced your Android contacts to your Gmail account. 6. Log into your Google Account and click on ‘Apply’. 1. Connect your Android phone to your computer and save all your desired files into your computer. 2. Install iTunes and connect your iPhone to the computer. 3. Go to iTunes > File > Add Folder to Library. Select the folder with the music and video files and add them to your iTunes library. 4. Select your iPhone from the ‘Devices’ tab and go to Music > Sync Music. Select the music files from your library and click on Apply. 5. Now repeat the process for videos by selecting files from Movies, TV Shows, or other video folders. ●	You have to use separate methods to transfer videos, music, contacts, etc. It’s not a consolidated method. ●	Transferring contacts requires a Gmail account and an internet connection. 1. In your Android, you have to first sync all your contacts to your Gmail account. Do so by going to your phone’s Settings > Accounts > Google > Contacts. 2. Now go to your new iPhone’s Settings > Mail, Contacts, Calendar > Add Account > Google. Sync your google account with your iPhone. 3. Now you have to sync your contacts. Go to Settings > Mail, Contacts, Calendar > Gmail. Toggle the ‘Contacts’ option. ●	You have to upload your contacts online. ●	You need to have a Gmail account and an internet connection. ●	Can only be used to transfer contacts. So now you how to transfer Android to iPhone using the easiest method and the free methods. My personal recommendation would be to use dr.fone - Switch as it allows you to transfer all the files you need at the same time and the process only takes 5 minutes. The other methods are complex and extremely limited in scope.